It seems like forever since I made cards. My husband was away on business on Saturday so I spent most of the day in my craft room playing mostly by making cards. The card on top is made from left overs from another project. 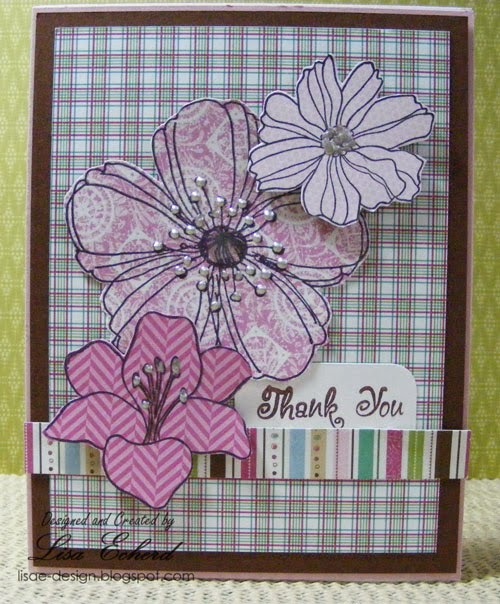 I stamped a few too many flowers from Stampin' Up! 's 5th Avenue Floral set. The papers are 6x6 from Little Yellow Bicyle. The card on the left was inspired by this one on Pinterest. 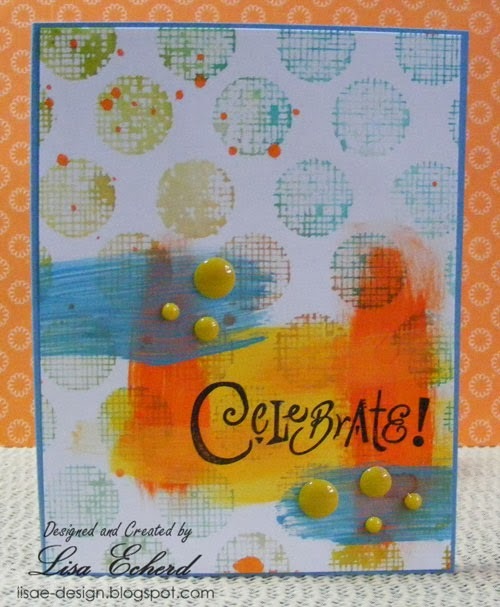 I stamped the background with a Hero Arts background stamp inked in Distress Inks. I painted some streaks with Distress paints and craft paint. Then I stamped Celebrate over the dried paint. The mist is Dylusions Squeezed Orange. It seemed to lack something so I used a few enamel dots to finish off. I don't know what I'm up to this weekend. As long as I get some crafting time in, I'll be happy! These are cute, Lisa. I'm hopeful for a crafty weekend myself!